Two Athens bars – “The Clumsies” and the “Baba au Rum” – located in the heart of the Greek capital, have once again been included on the list of the World’s 50 Best Bars for 2018. The World’s 50 Best Bars is an annual list that celebrates the best of the international drinks industry. Now in its 10th year, it provides an annual ranking of bars as voted for by more than 500 drinks experts from across the globe. The Clumsies, located on Praxitelous Street in central Athens, ranked seventh on the list. “With three floors that draw in the crowds all day, The Clumsies has it all – from coffee to homely-but-refined Greek food to leading-edge cocktails. 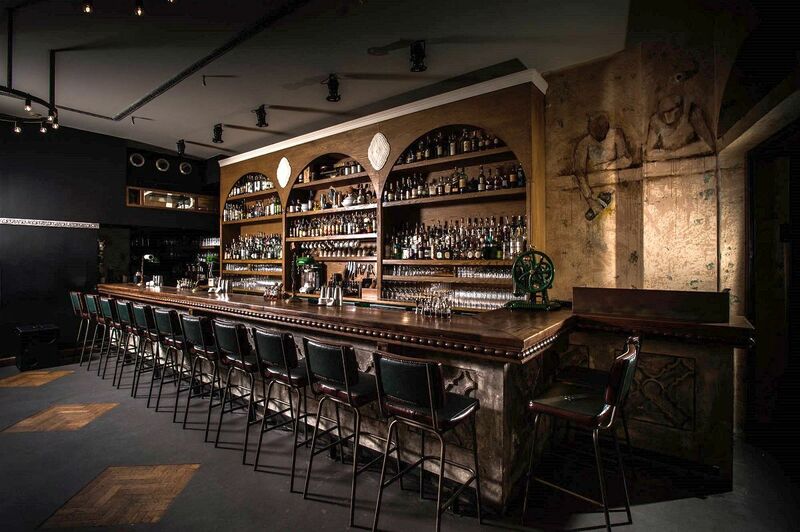 It is the brainchild of two bartenders – Nikos Bakoulis and Vasilis Kyritsis – who, in the midst of the Greek recession, took over a dilapidated building in the center of town. Backed by three local businessmen, the site was transformed and The Clumsies now has a global standing,” the judges said. After debuting at number 22 in 2015’s The World’s 50 Best Bars, The Clumsies has since featured three times in the top 10. 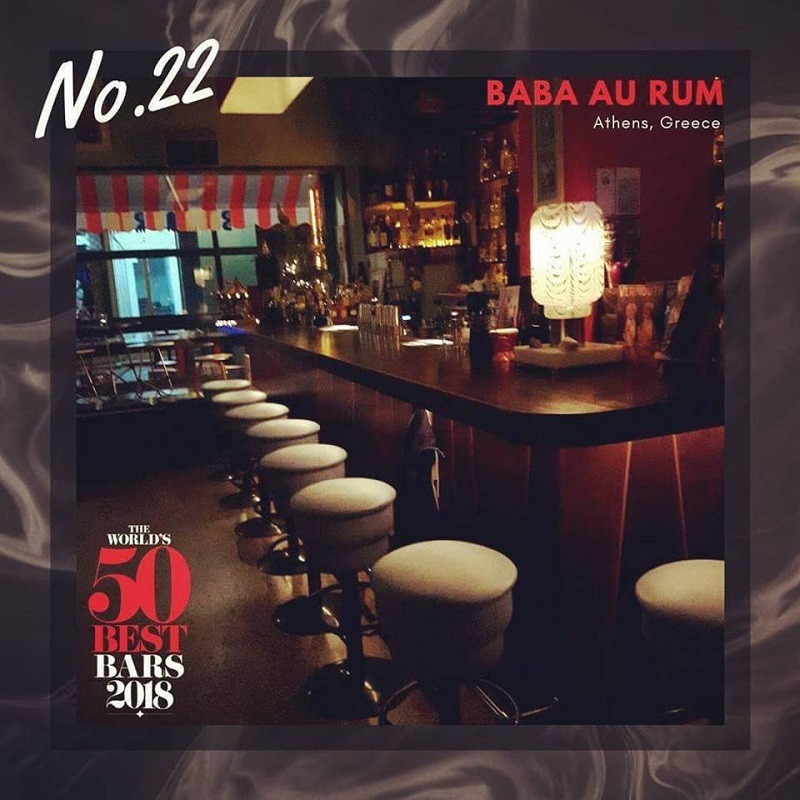 The Baba aur Rum, located on 6, Klitiou Street in downtown Athens, ranked 22 in the world. “Through warm Athenian hospitality and refined international cocktails, Baba Au Rum continues to be considered one of the best bars in the world,” the judges underlined. The bar had ranked 30th on the 2017 list. London’s “Dandelyan” and “American Bar” were named the World’s best, holding the first and second place respectively, followed by Singapore’s “Manhattan” bar in third place. The top 10 also included “The Nomad” (New York) in fourth place; the “Connaught Bar” (London) in fifth; the “Bar Termini” (London) in sixth; the “Atlas” (Singapore) in eighth; the “Dante” (New York) in ninth and “The Old Man” (Hong-Kong) in the tenth position. The World’s 50 Best Bars is owned and organized by William Reed Business Media, the group behind The World’s 50 Best Restaurants, Latin America’s 50 Best Restaurants and Asia’s 50 Best Restaurants.